PartWorks uses the latest hardware and software tools to create a 3D model of your parts or tools and get you into production. 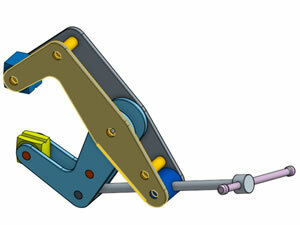 Whether you want to: start with an existing part using 3D scanning hardware, such as the Faro® Edge ScanArm and convert the scanned point cloud into a 3D model using Geomagic® Design X and Control software; start from 2D drawings; or design from scratch in SOLIDWORKS®, Autodesk Inventor®, CATIA®, OnShape® or another leading 3D CAD software package, PartWorks has you covered. Our mechanical engineers not only understand design but manufacturability and can help you get your parts right quickly, getting your parts and tools into production and to market with the desired fit and finish as fast as possible.